It really shouldn’t have happened, of course. No country as small as Scotland has ever had a team even reach the final. Portugal, with roughly double our population, is closest. 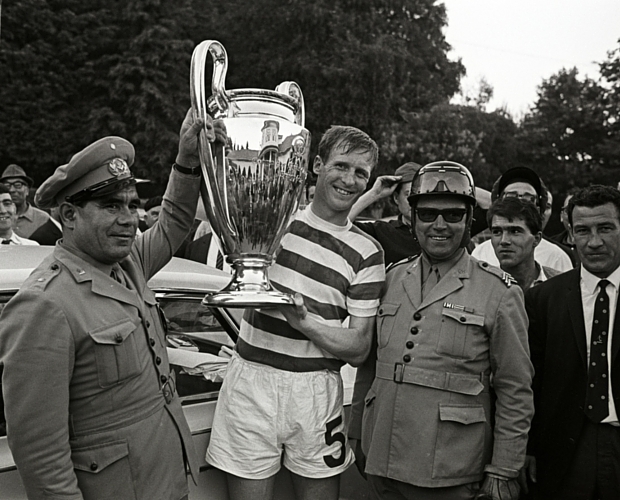 Very unlike today, many of the teams that triumphed in the early years of the European Cup had players all from the same country. Real Madrid’s 1966 winners were all Spanish, Benfica’s 1962 team were all Portuguese. But their players were from all over their populous nations, cherry-picked from the other top teams. So all 11 Celtic players being Scottish wasn’t unusual. What is incredible is that every one of the starting 11 were born within 26 miles of Celtic Park. Indeed Bobby Lennox, a foreigner from Saltcoats, is the only one not born within 12 miles. This was a district team that went to the very top of the football world. Higher than the top, if that’s possible – a narrow platform, on a plinth on top of a tower, built at the summit of football’s Mount Everest. But, even then, there’s more to the story. It is what made Celtic win that is remarkable. They won not in spite of being Scottish, they won because they were Scottish. The whole event was obviously a failure within the upper management levels of UEFA, the European football governing body – someone forgot to tell those 11 laddies from Glasgow’s east end that they weren’t supposed to actually win the thing. Teams from the wee countries only make up the numbers. They take the occasional severe beating from the big guns and are sometimes allowed to reach the quarter-finals, or so, before being packed off with a pat on the head and someone saying: “Didn’t they do well?” in a patronising tone of voice. 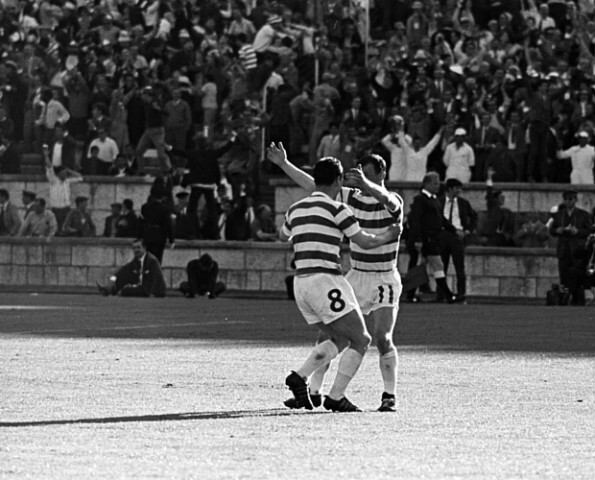 What wasn’t realised until too late, in fact probably right up to the point that Stevie Chalmers was slipping Celtic’s second goal past Internazionale goalie Giuliano Sarti, was that there is a little-known (in the wider world) ingrained Scottish national trait. That trait is best summed up by the closing line of a comedic poem by Tom Anderson Cairns, incongruously usually seen only on dishtowels. It goes: “Wha’s like us? Damn few, an’ they’re a’ deid”. It comes with a swagger, an outrageous piece of Jimmy Johnstone dribbling or a Tommy Gemmell rocket shot. The fact that we’re not supposed to win things like the European Cup almost guarantees that, sooner or later, we will – just because everyone else thinks we can’t. One of these days, Scotland’s national team will lift the World Cup. We all know it’s going to happen. In a uniquely Scottish way there is a part of us all, deep inside, that just knows we’re the best at football. Wha’s like us? Naebuddy, that’s who. 2 miles from Celtic Park. 4 miles from Celtic Park. 7½ miles from Celtic Park. 12 miles from Celtic Park. 9 miles from Celtic Park. 6 miles from Celtic Park. Born: Rutherglen, Lanarkshire, 1½ miles from Celtic Park. 5 miles from Celtic Park. 26 miles from Celtic Park. 6½ miles from Celtic Park. 1½ miles from Celtic Park.